This really made me smile–never thought about canoeing in relation to girlie parts! I LOVE to canoe, and your photos a beautiful. 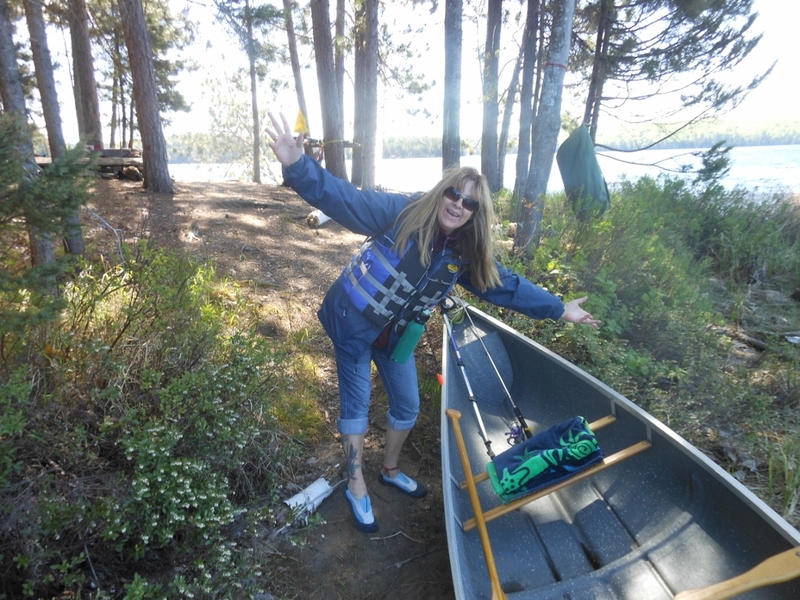 Well when you are in a canoe for hours with your husband, like I was, all sorts of things come to mind. Thanks, I’m glad you enjoyed the pictures. I’m pretty sure I was born in Algonquin Park. Either that or conceived their. Either way, I’ve been going every single year since I was a baby and this will be my kids fifth summer. They’ll be 4.5 years. I really need to write about it as it’s such a huge part of who I am today. I wish I was born there and then I would be living there year round, but alas it did not happen. Please do write about your Algonquin experiences, I would love to read them. Crooked lady parts, that’s me, not perfect, but still fun. Thank you, it was gorgeous there and yes my husband’s eyes could be off a tad. It was close once or twice when we were in some rapids, but lucky we did remain dry for the trip. I’m glad you two had fun on your trip! Your pics are lovely, and I agree with your logic! lol, perhaps a tad lopsided. It was a lovely holiday. Oh my my … love hubby’s explanation!!! Looks like you had wonderful weather at a beautiful location. Cheers to the getaway!!!! There is never a dull moment when in a canoe for hours. It was beautiful Frank, I love Algonquin. Have you ever camped in the backcountry? The closest thing we come to camping is in a hotel … but we would love a day of activity there. I am not a hotel person at all. The important thing is you enjoy yourself no matter where you are staying. I won’t argue your logic. Who would. And Peter has a pointer or is plum bob. I enjoyed the read, and images like these never get tiring for me. When in places such this, you cannot help but believe that sunset you have been graced with, was meant only for you and you alone. You are a smart man for not arguing. I will not forgot the sunset, the colours were far too unbelievable. Oh goodness! I must share this one with Neville, I know he will roar with laughter! Your photos are SO beautiful. What wonderful, unspoiled nature. PS I’m sure your girlie parts aren’t really crooked…It’s the boat! It is beautiful in Algonquin, I was quite surprised we didn’t see a moose or two, usually they are everywhere.